Observe animals and birds in high definition. The new HD lens system provides exceptionally true and neutral colour fidelity. A visual experience that sets new standards in its class. 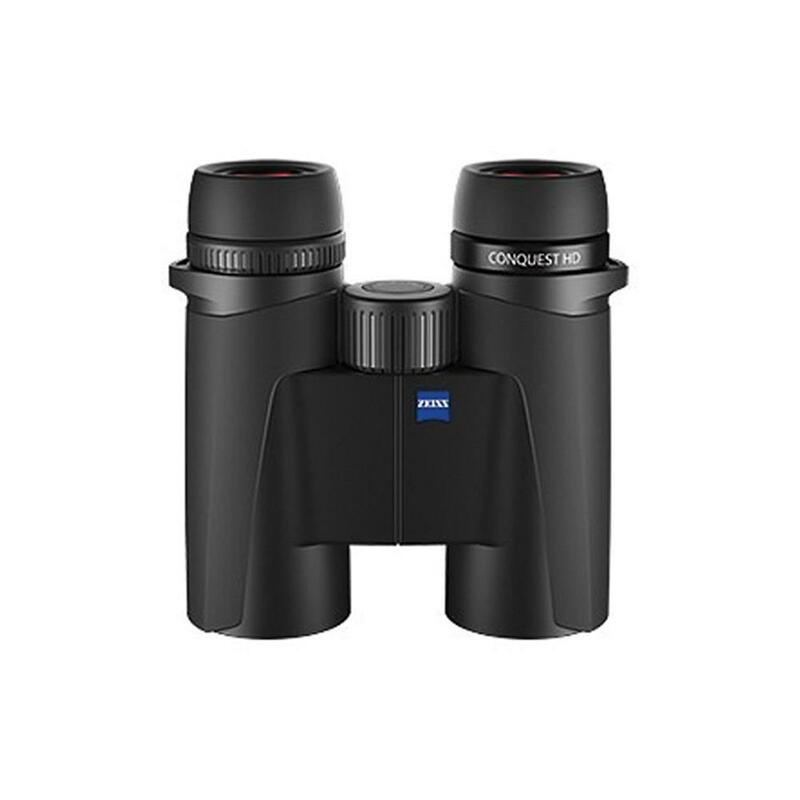 The tried and tested Carl Zeiss T* multi-layer coating ensures that the CONQUEST HD offers light transmission of up to more than 90% - optimum requirements for impressive observation in twilight conditions. For long excursions or spontaneous walks, the CONQUEST HD is particularly compact and lightweight. The slim housing is particularly compact, its robust design protecting the inner workings, and high-quality aluminium makes the CONQUEST HD a pleasantly lightweight companion. When observing at close quarters you can rely on the highest precision. Even close up the new CONQUEST HD shows its strengths. Whether you are watching birds, insects or butterflies at close quarters, with the CONQUEST HD you will be able to identify every detail with an impressively clear and neutral colour reproduction. You can quickly pick out individual animals from large groups and seek out hidden birds in clumps of bushes. The CONQUEST HD 10 x 42, with the widest field of view in its class, is the perfect option in this instance. As well as having an extremely wide field of view it also boasts very high 10 x magnification. You can enjoy effortless observation and a particularly steady image with the CONQUEST HD 8 x 42. Whichever model you choose, these binoculars promise detailed insights at long range. Comfortable observation is not just a matter of lenses. Ergonomics plays a major role, too - and this is where the modern design of the CONQUEST HD comes into its own. When you reach quickly for your binoculars your index finger sits almost automatically on the large focussing wheel while the remaining fingers rest on the specially moulded grip. The eyecups round off its ergonomic perfection. Slightly slanted, they are carefully aligned to aid observational comfort. Light and secure handling is combined with superb comfort for your observation of the natural world. The CONQUEST HD is not only especially lightweight, but also extremely robust. With this all-rounder you can be well prepared for any adverse conditions when observing nature. Its housing is made of high-quality aluminium. The inner workings are therefore perfectly protected, ensuring the long-term precision of the HD lens system. The CONQUEST HD - always a reliable companion, ready for any tough use. A revolution in design, ergonomics and optics. The perfect 'Made in Germany' all-rounder combines ZEISS quality with state-of-the-art technology. Plus, these binoculars represent an outstanding price performance ratio. All this makes CONQUEST HD the uncompromising entry into the premium class of Carl Zeiss. Water simply rolls off the lens as it does from a lotus leaf or off a duck's back. The LotuTec® coating on the lens and eyepiece ensures that water or snow simply roll off the surface of the glass. Since neither water nor dirt can collect on the surface of the CONQUEST HD you can spend less time cleaning and more time watching nature.